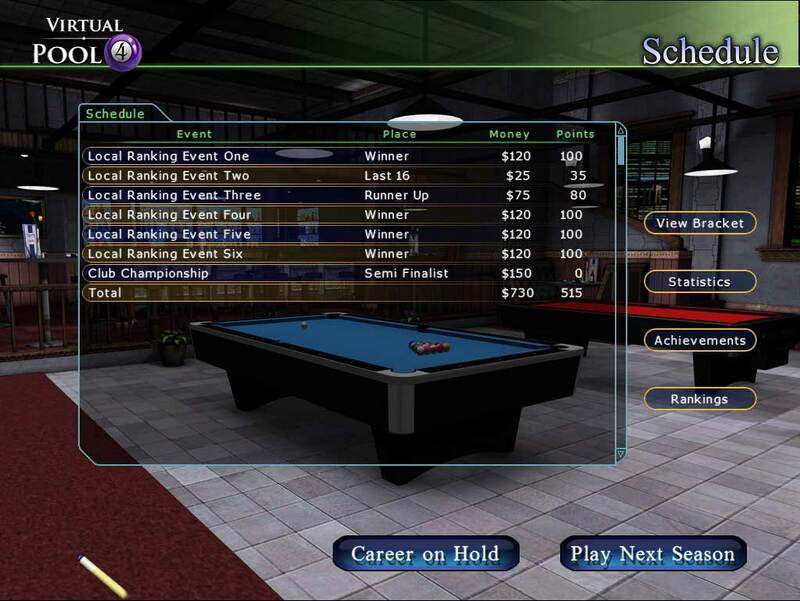 My virtual and real life pool game is coming along nicely – I can see a steady improvements over the last 3 weeks. 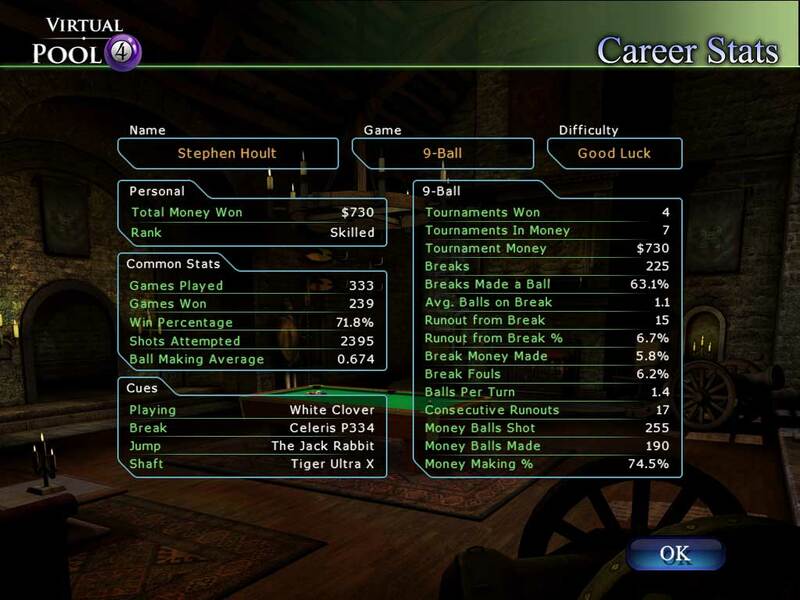 Here are a couple of screenshots showing my results and statistics from the first season ( The Local Tour) of my virtual career on Virtual Pool 4. This entry was posted in Computers, Pool, Sports and tagged Pool, Virtual Pool 4 on November 25, 2012 by Stephen Hoult. Well it’s just about Winter, which means it’s too dark to play golf among other reasons, namely the expense and the general snottyness of your standard golf club so I’ve picked up the Pool cue again, both virtually and in real life. Why? I don’t know really… I watched a documentary about Ronny O’Sullivan which led me to re-install Virtual Pool 3 awakening the pool bug inside me. A few days later I found myself in Riley’s with my mate Mal (who incidentally has a great blog http://virtualpool4.blogspot.co.uk/ so check it out) and on return bought myself Virtual Pool 4. 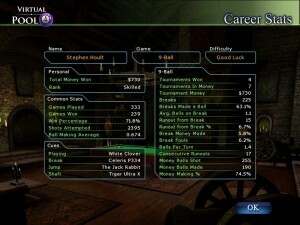 Considering it was the first time I’d played in over a year it wasn’t too bad really – some good shots (and a lot of bad). The game is great – though I’ve had to turn off room backgrounds and lower graphic quality to be able to play it smoothly. I’m planning on recording a few games and uploading – not for entertainment – just to track progress really. And that’s just about all I have to say on that. This entry was posted in Computers, Pool, Sports and tagged Virtual Pool 4 on November 14, 2012 by Stephen Hoult.